Provides service exactly as expected. Interface is reasonable, no problems accessing or managing items. 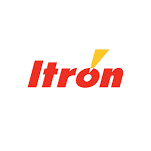 We have worked with Iron Mountain and NCC Group in the past. EscrowTech provides a better service at a more reasonable price. Their contracts are simple and easy to use. Code can be uploaded online. We have stored our code with EscrowTech for the last couple years. They are always professional and quick to resolve any issue that may come up. I've worked with several escrow companies in the past and EscrowTech made what was a normally complex process easy. We have been using EscrowTech for years. Professional staff and always willing to help. Seamless process and very reliable. They are very easy to deal with. They provide status reports on a timely basis. They also have templates for contracts with our customer which was a huge help. Easy to manage source code using upload tools. Solid experience. Good company to work with. Good price. The process was simple, staff very helpful and knowledgeable! Paul E. Szemplinski, CEO CAPSYS Technologies. Quick to respond, and easy to work with. A bit daunting for first time users but with very friendly people to help. Efficient service at a fair price. Flexible procedures and helpful people to guide you through the process. We have had several experiences with escrow companies and we think we have a wonderful partner in EscrowTech. After the software escrow is setup, the escrow materials should be promptly delivered to EscrowTech. These materials should contain, but are not limited to: source code, documentation and any other important materials required to get the software running in the event of a release. Here is our suggested list of escrow materials. EscrowTech makes the submission process easy with submission methods such as escrow synchronization, automated submission scripts via sftp, manual online submission and manual offline submission. Once EscrowTech has recieved the source code and other materials, we will store it safely in our secure escrow vaults awaiting a mutually agreed upon release condition to occur. These release conditions are often bankruptcy or failure to maintain the software. EscrowTech can automate this process which keeps the escrow updated without requiring excessive time from the software owner's team. A release condition such as the software vendor's bankruptcy has occured and now the licensee needs the source code to continue using the critical peice of software. EscrowTech will promptly release the materials to the licensee following the terms agreed upon in the escrow agreement. When negotiating a software license at one point a prudent licensee will ask, "What happens if the software vendor goes out of business?" What usually follows is a request to access the source code and any other critical materials used to maintain the software. From the software vendor's perspective, giving the licensee access to the source code and other confidential materials is a risk to its business. How does the software vendor know the licensee will keep the source code safe and secret and will not prematurely use it? What if dozens of licensees demand the source code? From the licensee's perspective, not having access to the source code and other materials needed to maintain and update the software is a risk to its business. How will the licensee continue to use and maintain software, it heavily depends on, if the software vendor goes out of business, fails to meet its obligations or any other number of unforeseen events? 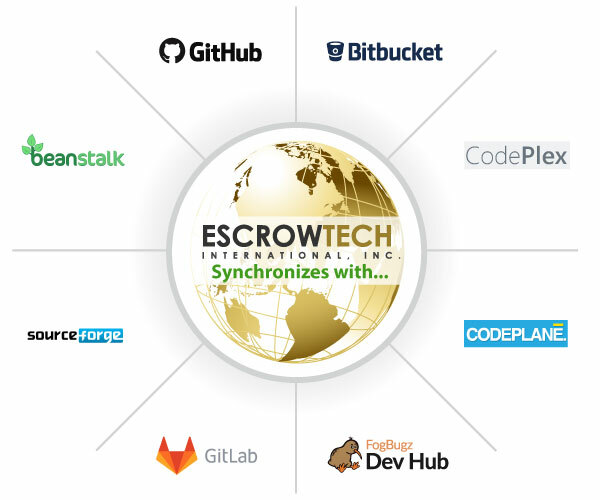 For nearly a quarter of a century EscrowTech has helped thousands of customers all over the world with their software escrow needs. When our standard agreements don't fit your unique situation, our in-house counsel can work with your attorney to customize them. Is the software escrow clause holding up your software license agreement? If so, EscrowTech can help you quickly set up an escrow in as little as one day. We employ our own internal developers allowing for a higher level of specialized technical capability. Upload source code, view account documents, pay bills and more all from the convenience of your web browser. For nearly a quarter of a century escrowtech has securely stored over half of the fortune 500's materials at our two secure escrow vaults. Source code is securely stored at two separate physical locations. This approach ensures that your source code is never lost and is always available in the event of a release. Have one of our experienced escrow specialists answer your questions. Thanks EscrowTech for over eight years of outstanding service. You have always been willing to go the extra mile for all the parties, but always keep the legal rights of the parties protected. EscrowTech has taken a software requirement which sometimes can be painful and made it a simple process. Keep up the good work. Our experience of EscrowTech over the past 12 years has been a one of complete satisfaction. They are competent, affordable, responsive, and treat you personally in a professional and caring manner. They continue to make it easier to update registration materials, and follow up quickly with our clients whenever a new deposit is uploaded. A great, reliable experience.